Gone are the days when you’d to let a 250-sq-ft private space for your office. Today, coworking spaces continue to gain remarkable traction – and with good reason. They offer all the advantages of a home office with the added benefit of being around like-minded startups, freelancers and entrepreneurs. With nearly 2 million people expected to hop onto the coworking bandwagon by the close of 2018, finding the right one for you and your business is a big decision that should not be taken lightly. Fortunately, there are a lot of services which could help you to find the perfect fit. 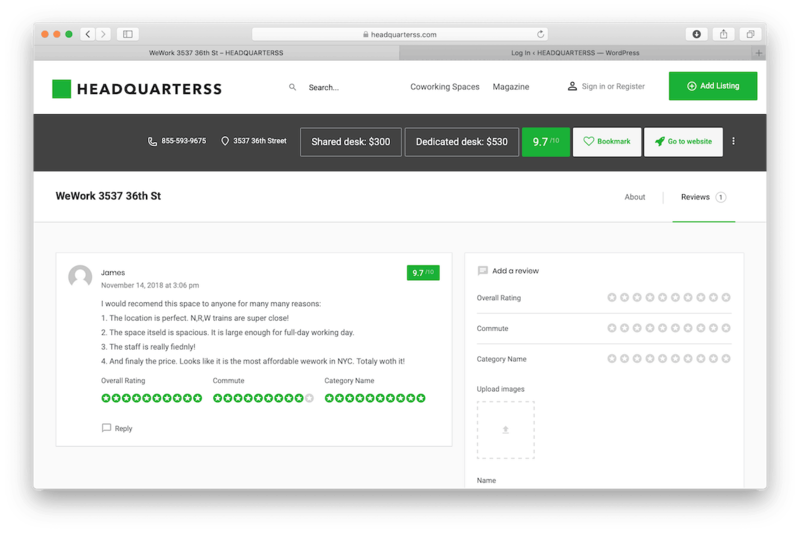 As an example, you can use headquarterss.com for finding the perfect coworking space for you. Here’s a handy step-by-step guide to help make the entire process a breeze. 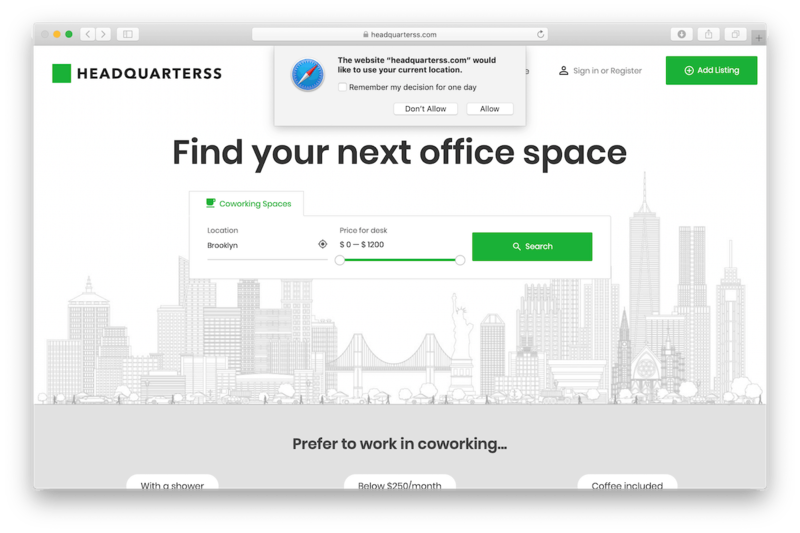 If you’re looking to zero in on coworking communities near you, the location can come in especially handy. 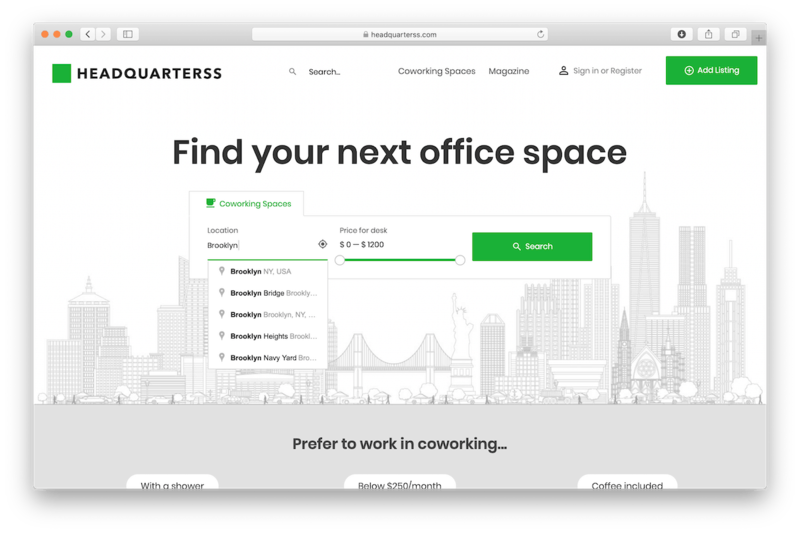 It helps you view and choose coworking spaces that are convenient for you. After all, you will have plenty of time to focus on your business when you keep the commute short. 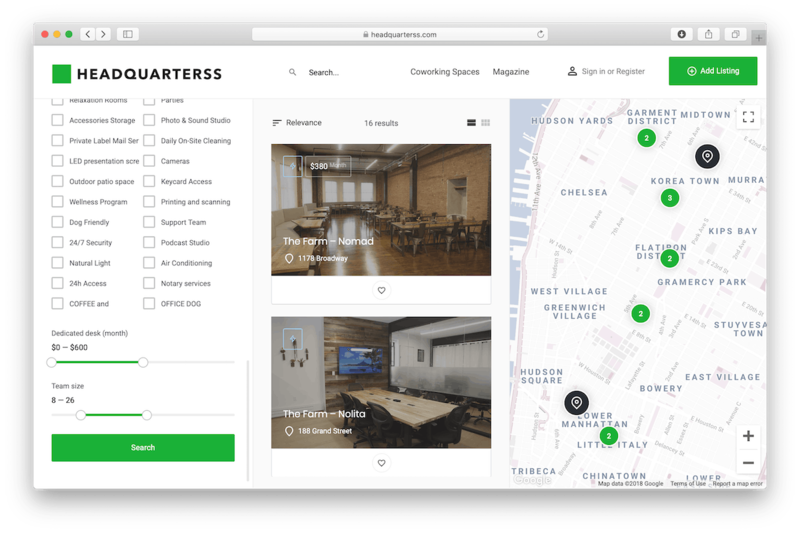 If you’re not interested in coworking buildings in your neighborhood, you still use location filter. 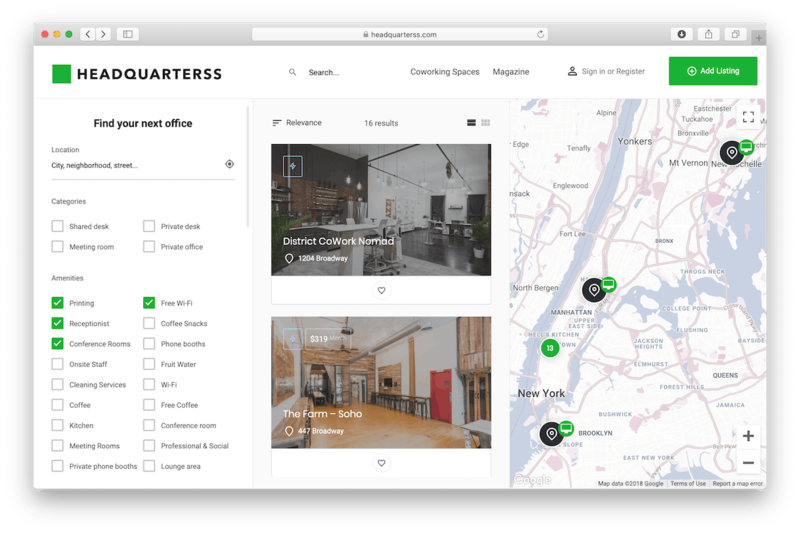 It’ll help you find available coworking spaces in Downtown or any other specific area of New York. There is a cool option to do this. You can click on target icon and HQS will identify your location automatically. What’s your price range? Are you looking for space for just you or a team? You can easily use team size and price filters to narrow down your search. What does the actual space offer? Do you need a shared desk, private office or a meeting room? 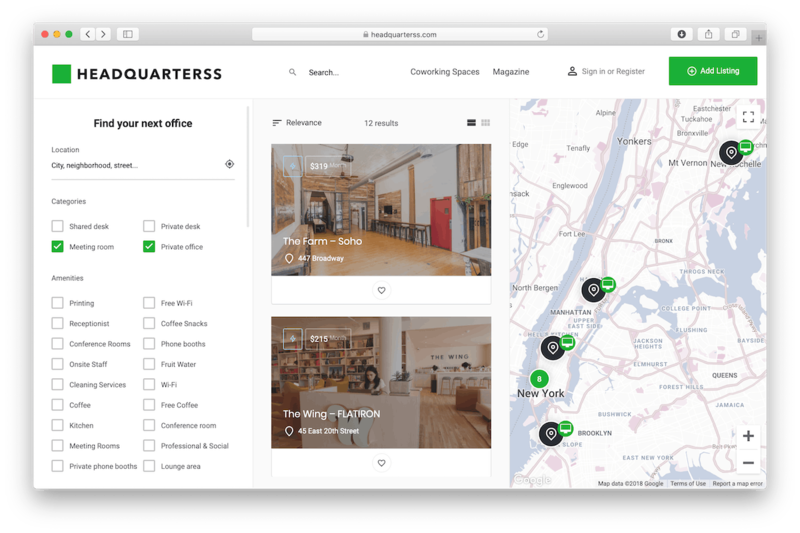 Use categories filters to find coworking spaces that offer just what you and your growing business needs. 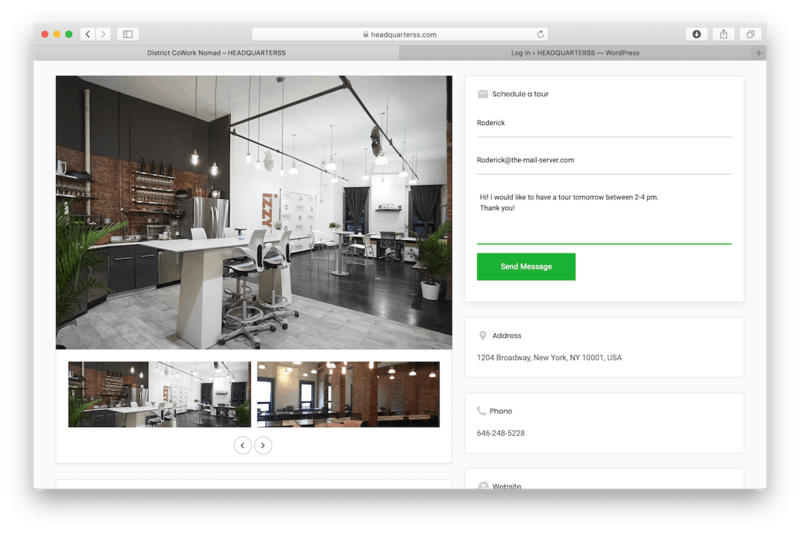 There is a myriad of tags that allow you to see coworking places that offer exactly what you are looking for. Whether you’re looking for a pet-friendly space, a place that offers showers, free snacks, locker facility, bike parking, baby feeding room or anything in between, tag filters can help you find them. By this point, you should have narrowed down your search to a list of only 5 best coworking spaces based on your needs. Don’t dive into the coworking world headfirst. Take your time and read what others are saying about your potential coworking space. After all, they have firsthand experience of what’s like to be in that particular place. If there are negative reviews or complaints made against a place, strike them from your list. Bookmark each coworking space that best matches your needs, and then do further research and comparison. This one is a no-brainer. 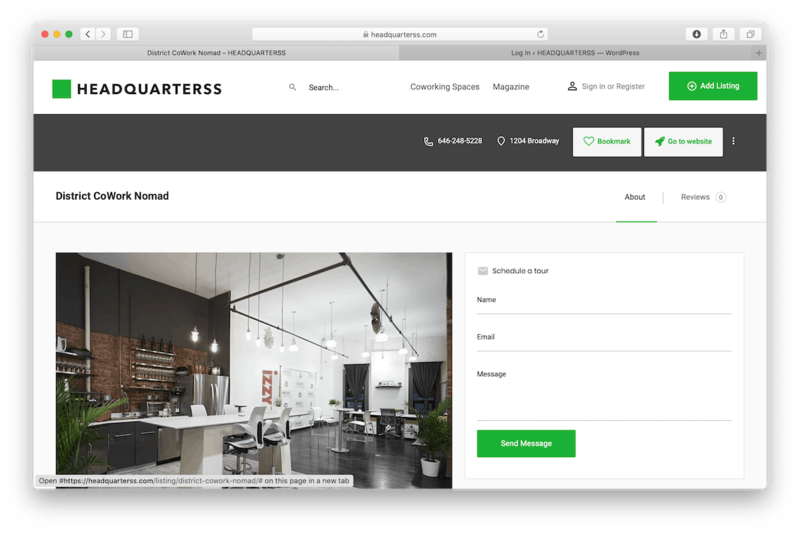 Set up a tour to get a feel for coworking space – meet your potential coworkers, check out amenities, and, more importantly, ask as many questions as you need.